The Big Idea of justice demonstrates the importance of creating a shared vocabulary before developing challenges and solutions. Justice and the related concepts of impartiality and fairness are complex ideas that we may assume everyone understands, but in reality, we have different interpretations. The concept of justice has a long history and differs across cultures providing the opportunity for a thorough investigation and profound learning experience. Developing a personal and communal understanding of justice and being able to identify and fight against injustice is critical for a peaceful society. Justice is a prototypical Big Idea because it is inspirational, desirable, and directional. It provides hope, gives us something to aim for and parameters for making decisions. The challenge to promote justice should be a daily and ongoing effort to understand and make short-term gains while aspiring to a just society for all. Essential Question: How do we (I) promote a just, impartial and fair society? Challenge: Fight Injustice! or Advocate for Justice! What are the historical roots of justice? What is the relationship between justice and citizenship? 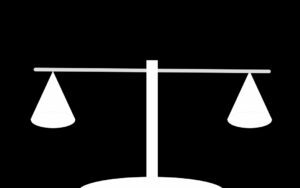 How does justice differ between countries and cultures? Who decides what is just and unjust? What does it mean to be impartial and fair? What are examples of justice and injustice? How do we decide what is right and wrong? What is the role of laws? How does the justice system impact people differently? What is the connection between ethics and justice? Explore the Ted Talks in the Justice playlist and identify common themes. Investigate the justice system (formal and informal) in your community. Invite representatives to meet and discuss their roles. Explore the concepts of justice and fairness through the lens of the climate, resources, economics, health and other current events. Explore how concepts of justice change over time and how they impact different people by creating a justice timeline. Consider what factors cause changes in the definition. Identify and follow local groups involved with justice (formal and informal) on social media and compare the perspectives.